MyDonate is a free fundraising service for charities provided by British Telecom. The only charge made is for payment processing - see the example below. If you tick the box to confirm that you are a UK tax payer when you make your donation MyDonate will claim back tax from the government on our behalf. 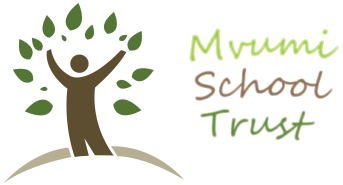 A quick registration at MyDonate is required to set up a regular donation to Mvumi School Trust, but you do not need to register to make a single donation. Please accept our thanks in advance. You will receive a confirmation email from us upon making a donation. »» Visit Mvumi School Trust MyDonate page! * Credit card charge is 1.3%. 13p in the example is based on a donation of £10. * Debit card charge is fixed at 15p for a donation of any amount. There are opportunities to sponsor a named student and, if so desired, maintain a correspondence with that student. Please see the Sponsor a student page for more information. The School offers an excellent education to 13–20 year olds in a region of subsistence agriculture and little development. While government secondary schools are free there are a number of hiddent costs. All private secondary schools in Tanzania have school fees. Such is the popularity of this School that it attracts students from villages some distance away. Some students travel long distances or find lodgings in Mvumi Village. Some live with adults, some with guardians, others with a housekeeper. Many students live in small rooms in mud-brick huts. Frequently these huts have no electricity, no running water and practically no furniture. They may live with family or relatives who see no practical benefit in their studying because they have to focus on making a meagre living. Many keen young people hope to get places at Mvumi Secondary School, if their families or kind sponsors can fund them. "We beg to live in dormitories because at our homes we have a lot of problems. When it's time to study, we can't do it because we live with parents and many relatives. And the candle smoke affects our eyes, so sometimes they water or we get a headache when we read and so we can't continue to study. Kerosene is used too. It is toxic. And our houses have low thatched roofs and no chimneys." "I live with my aunt but if I want to study she tells me to do some other work." "I live with my grandparents. When I begin to study they tell me to go and cut grass for the cow and fetch water for them. At night they don't want to see any light. I study with either candle-light or with light from a fire. They say that when it's day it's for work and when it is night we must sleep. So I can't get an hour to study." "For me I live far from my school, so I must wake early at 5.00 a.m. and start to prepare for school. After school I walk a long way and when I arrive home I am very tired and can't study well." Now the principal focus is providing sponsorship to needy students whether sighted or visually impaired. Rose Scholarships are awarded to bright, needy children from the local Mvumi primary schools. The sponsorship scheme awards bursaries that cover the full 100% of school fees to relieve cases of hardship. Currenlty a fifth of the school receive sponsorship.